The Milton sales centre is now open after the project, six years in the making finally becomes a reality. Today marks a new era for property development in Brisbane. The trend of transit orientated development or (TODS) has well and truly arrived in Brisbane, and on a mass scale. The sales centre of Brisbane’s tallest building outside the CBD (30 floors) has officially opened its doors. Developed by FKP, the project has been six years in the making and is a symbol of what is to come in Brisbane. TOD projects are nothing new, both nationally and internationally they have been built for years now. Nationally, Sydney leads the way in TOD projects with ‘The Forum‘ – St Leonards and Chattswood in the northern suburbs as great examples of successful transit areas. However as Brisbane has now just entered this new arena with ‘The Milton’, what will soon come will be huge. For starters, put whatever problems you may have about the Queensland Government aside, this current state government is heavily pushing for more TOD developments and mass transit infrastructure. If plans for Brisbane’s new Cross River Rail tunnel push ahead, we will see an entire area south of the CBD transformed into the equivalent of Chattswood in Sydney, which is serviced by rail and bus corridors.  As well, planned TOD projects like the Boulevard at Buranda, Southpoint by AJG and the newly revived TOD project by FKP at the old Albion Flower Mill site will soon see the light of day. Also, Mclauchlan & Ann by Laing’o’Rourke and Mosaic by Leighton Properties which are to be built in the key activity and entertainment centre of the Fortitude Valley are also powering ahead. This is all good news, as we now know that TODs ultimately reduce both urban sprawl and car dependance, while also having great side effects like creating more 24/7 spaces, options for amenities and diversity in housing. 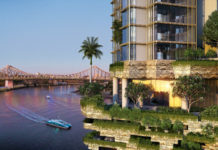 Keep up to date with development news in Brisbane with BD Online.